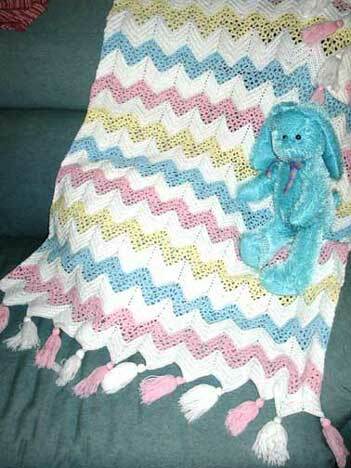 Snuggle up with your baby on a cold winter day with a hand crocheted afghan. We can create a design in your selected colors. This classic Ripple design measures 45" X 30". And when you go out, protect that special bundle with a beautiful sweater and matching cap. 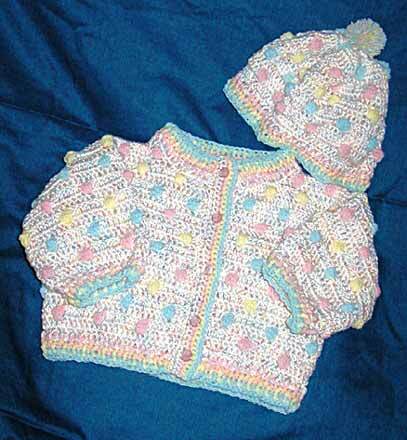 This design is called Gumdrop, and is cute as a button! Contact Us about these items. Keep those precious memories in a very special picture album. Match your nursery theme or select a design that matches your child's personality! 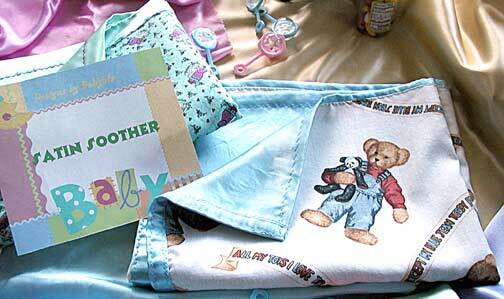 Satin Soothers! 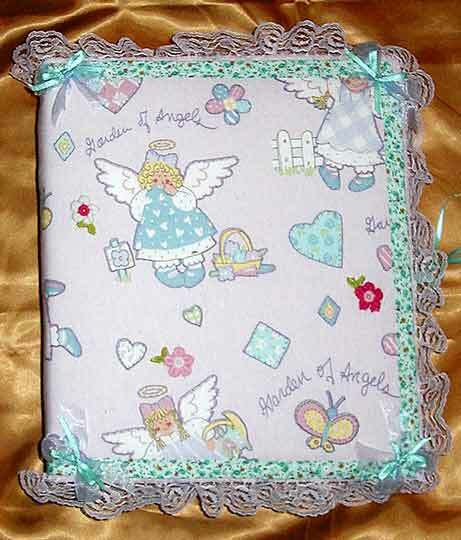 Colorful, character or theme front , washable satin back. This is the perfect "blankie" that your child will carry around for years!